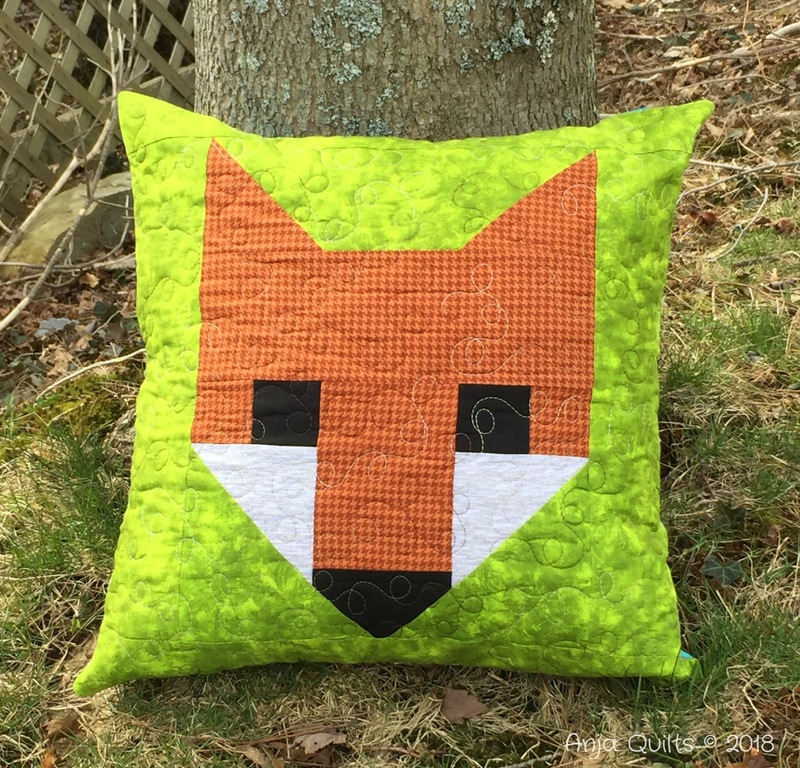 My LQS asked if I would teach a class on Elizabeth Hartman's Fancy Fox pattern. 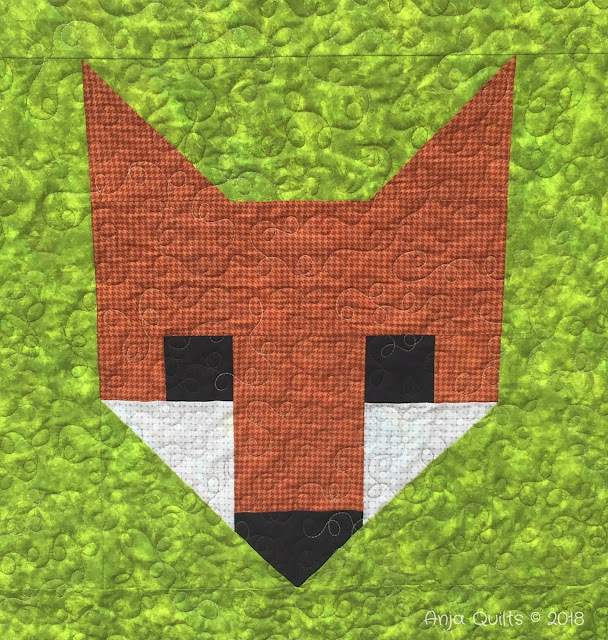 I choose Fancy Fox II because the blocks are larger. I'm not exactly sure when the class will be, but I had to get some samples ready now. Here is the Gigantic block to make a 30 x 36 baby quilt. 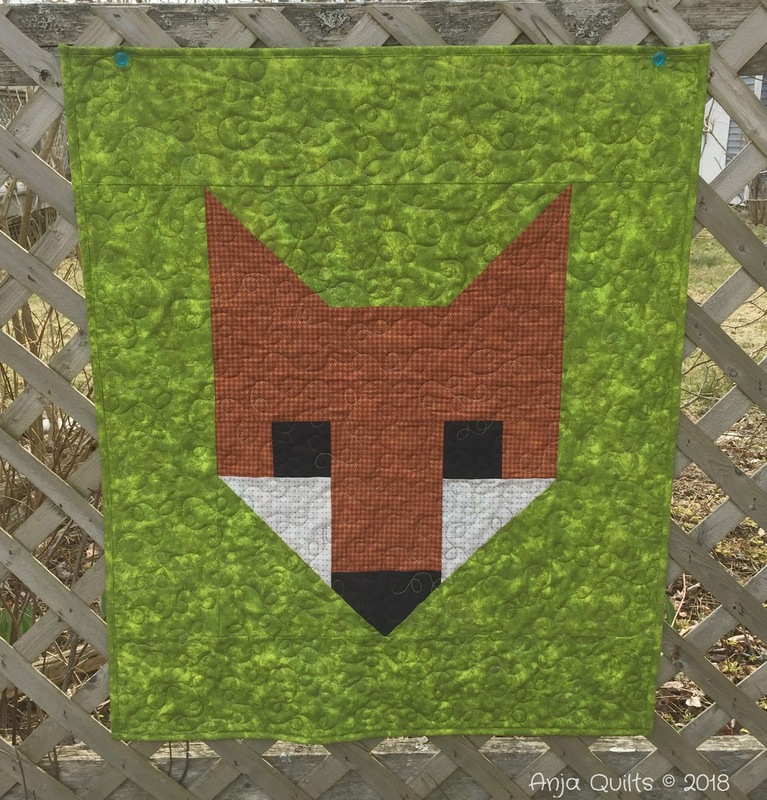 Loopy free motion quilting in variegated thread. And the 20-inch pillow. I put in a hidden zipper using this tutorial. Winter won't let go -- the grass looks horrible. And indoor photo as the green background didn't photograph well outside. They perfectly coordinate and it sounds like a fun class! Very cute Mr Fox. My mother has a treadle sewing machine which she uses regularly. Super cute! I really like the supersized Fancy Fox! Must go together fairly quickly. Adorable love the green! I need to start taking pictures with my Singer. Have fun teaching! I'm sure students will appreciate the big blocks so they get more accomplished! Your versions are adorable! Very cute, I love the big and little foxes! Have fun teaching! Quite the difference from inside to out! It looks more yellow-green outside. I hear you on the grass. 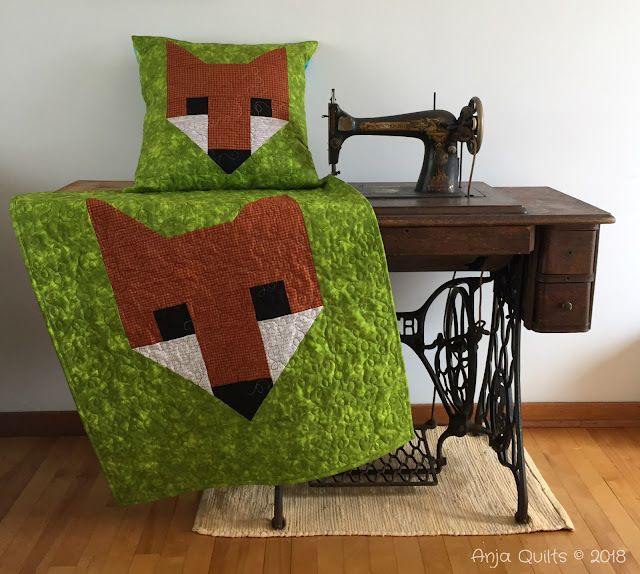 It's sure a cute quilt and pillow! Congrats on the teaching gig! And smart call on the larger size. I've only made one of the small ones but found it fiddly. 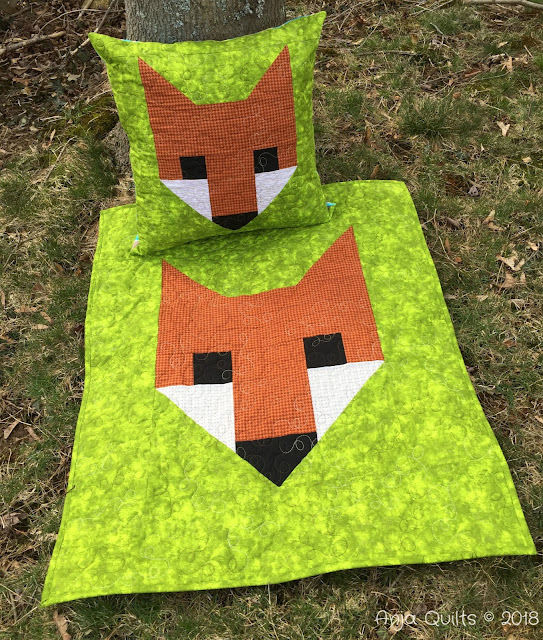 Very cute ❤️❤️❤️❤️ Great combo, pillow and a quilt. What a cute little gift this would make. Congrats on the class, sounds fun! I love that zipper tutorial...I use it all the time. Cute, cute, cute! What a fun class this will be! I want to make this one. I wonder when the next baby will be added to our family? Maybe I should just go for it, then I'll have a quilt waiting! Lovely quilt and matching cushion Anja and I love the shot with the vintage treadle, beautiful. Love love love the FMQ. It look so neat, I am jealous. Snap! I have just pulled out the fancy forest pattern and some fabric to make foxes too!